. Published on November 4, 2014 . Where technology and intelligent counterculture meet, you will find Mark Frauenfelder. Mark Frauenfelder is the founder of Boing Boing, the founding editor-in-chief of MAKE, editor-in-chief of Cool Tools and co-founder of Wink Books. 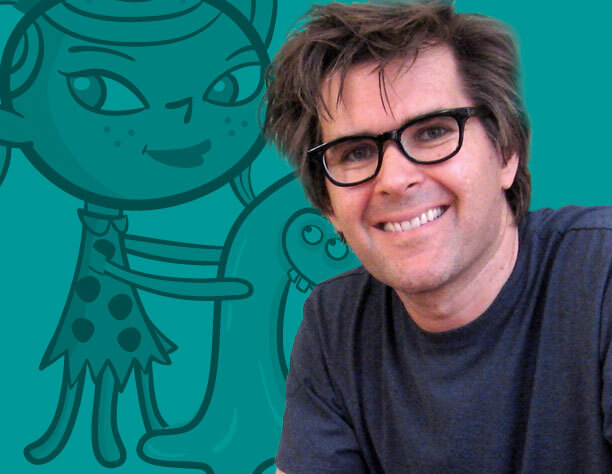 He’s also an author, illustrator and maker; his latest book is Maker Dad: Lunch Box Guitars, Antigravity Jars, and 22 Other Incredibly Cool Father-Daughter DIY Projects. Frauenfelder seems to do it all: he’s on the cutting edge of technology, yet he eschews mainstream consumer culture and inspires others to think, do and make for themselves—and he’s simply a delightful, unpretentious person to be around. We were thrilled to find out more about his habits. I wake at 7am. I aim for 8 hours of sleep a night, so I’m in bed at 10, and I read or listen to podcasts until I fall asleep. While Carla and our two girls are getting ready for the day ahead, I make breakfast for everyone. I have coffee only for breakfast because I am more alert and feel better if I’m slightly hungry. I drive my younger daughter to school then I come back and clean the cats’ litterbox and feed our bearded dragons. On alternate days Carla and I will do a short kettlebell workout. By this time it’s about 9am and I enter my home office to start working. I use the Things app to keep track of the tasks I need to do for my various projects. Every night before I quit working I go over Things and look at the tasks I want to do on the following day and write them down in a notebook I keep on my desk. So on the morning I look at that list and write a number next to each list item to indicate the order I plan to tackle the tasks. When I work on a task I pretend I have nothing else to do but that one thing. That really helps me focus and not freak out about all the things I need to do. I rarely get everything done on my list. You’re an incredibly prolific writer and maker, but your posts on Boing Boing and Wink Books make it evident that you’re also quite a media consumer. Can you offer our readers any tips for how to balance writing time with reading time, and how you decide what content deserves your attention? I’ve gotten much better about abandoning books that I don’t like. I used to be a victim of the sunk cost fallacy (ie, “I’ve put so much time into this I can’t give up now”). If a book doesn’t enthrall me after the first 20 pages I stop reading and try something else. Carla and I try to read as much as possible on the weekends. And I read on planes and listen to Audiobooks in the car. I used to play games on my phone from time to time but in the last year or so I have completely lost interest in playing them. I’m not sure why. But for some reason I start feeling depressed when I play them. Carla loves Words With Friends though! I don’t like exercise, but I’ve learned that a 10 minute kettlebell workout 3 or 4 times a week has done wonders for my body. I’m much leaner and more muscular now than when I used to ride a stationary bike for 45 minutes, which was torture. Carla and I also like to take walks and talk, which we enjoy. I’m also working on the habit of keeping my desk clean so it doesn’t get cluttered and rob my focus. Who or what inspires you? Who’s habits would you like to know more about and why? My friend and Cool Tools partner Kevin Kelly inspires me because of his approach of taking on new projects. He shoots for the moon and often reaches it, maybe because he is an amateur in the true definition of the word, and uses inexperience as an asset. Even when he doesn’t come close (like when he ran a project to catalog every living species on earth) he has a wonderful time trying! He’s good at asking the obvious questions that no one thinks to ask. He likes finding out about other people’s problems and coming up with smart solutions for them. Set Priorities for Your Day: review your to-dos and get focused. Kettle Bells: this popular excercise builds strength and fitness fast. Read: a daily habit that supports personal and intellectual growth.